Man City articles and quiz related trivia. Manchester City have ticked off the first box in their quest to win the Champions League by winning their group with ease. They topped the group by five points, and that was despite a shock home defeat to Lyon on the opening week. This is far from job done though; City are now required to kick on and perform well in the knockout round. They are in the last 16, but fans will be hoping to reach the semi-finals at least. After dominating the Premier League last season to win by 19 points, Manchester City put themselves in a position where they had to have European success to keep the fans happy. While it may be enough for now, simply winning the Premier League is not enough for some people, and the ultimate prize is the Champions League trophy. As it turns out this season, they are likely to have a tougher task retaining their Premier League title due to the challenge from Liverpool, but that doesn’t change the fact they need to do well in Europe. If there is one group of people that fancy City to do well in the Champions League this season then it is the bookmakers. The latest football betting has them as 3/1 favourites to lift the title this season, putting them ahead of huge European names such as Barcelona and Juventus, as well as the current holders Real Madrid. It also makes them England’s best chance of bringing home the trophy that Liverpool nearly did last season. The way the Premier League is developing, it seems inevitable that Manchester City and Liverpool are going to battle it out for many years to come. After seeing Liverpool disappoint in the final last season, Manchester City will see winning the Champions League this season as them getting one over on the Merseyside club. Whether it is the Premier League title or the Champions League, don’t be surprised to see these two clubs at the top for many years to come. When Pep Guardiola was brought into the club, his aim was to take Manchester City to the next level, and part of that was to put them on the map in Europe. They only reached the last eight last season, and the feeling is that even if they win the Premier League this season, anything other than seeing improvement in the Champions League would be seen as a disappointment. This is the stage where City are measured now, and after assembling a wonderful squad of players, it is time for Pep Guardiola to earn his money on the biggest stage of all. Manchester City have built the foundations and dominated the Premier League. There is one final step for them to take, and that involves winning the Champions League. This is where this team is going to be measured from now on, and they have to show progress this season to keep their expectant fans happy. After a summer that promised so much, West Ham United have failed to live up to their pre-season expectations so far as they welcome Manchester City to the London Stadium on Saturday. An influx of new signings at a cost of over £100m suggested the Hammers would be pushing for a top six finish, but thus far, are rooted in the bottom half of the table. City are still one of three teams in the Premier League who remain unbeaten and they’ll be looking to take the game to West Ham in their quest to make it five consecutive league wins. Here, Sportingly Better dissect the best tips for this weekend’s clash and take a closer look at the players who are likely to impress. 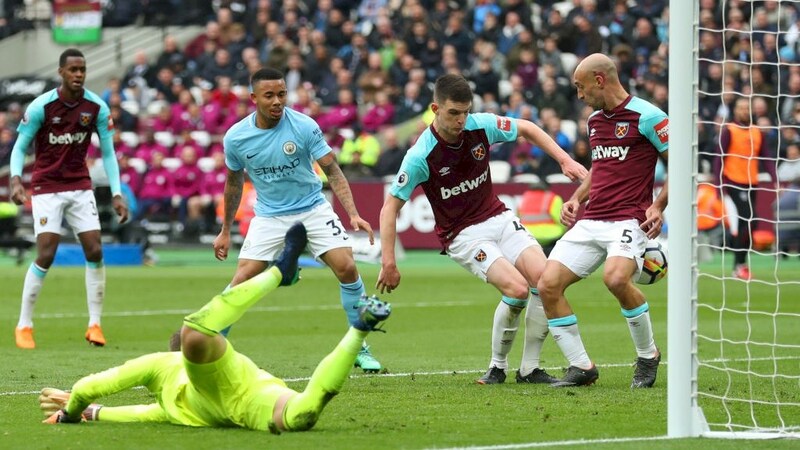 Traditionally, West Ham usually suffer at the mercy of Manchester City and even more so in home games, losing the last two against The Citizens 4-1 & 4-0. Manager Manuel Pellegrini will know just how tough Saturday’s game will be and it hasn’t been made easier with the number of players in the treatment room. Up to seven first team players will miss out, although English pair Jack Wilshere and Andy Carroll are nearing a return to the starting line-up. Robert Snodgrass is banned after picking up his fifth booking of the season against Huddersfield Town but skipper Mark Noble is available, returning after a two-game absence for a red card at Leicester City last month. City manager Pep Guardiola has no fresh injury concerns but is unlikely to risk Bernardo Silva or Nicolas Otamendi, who aren’t quite fully fit from their recent setbacks. Kevin de Bruyne and Benjamin Mendy will definitely miss out through injury but Vincent Kompany and Ilkay Gundogan are in line for a start. Sergio Aguero will spearhead the attack supported by Riyad Mahrez and either Raheem Sterling or Leroy Sane on the left flank, providing City with plenty of goal scoring options. There’s no hiding from the fact that it’ll be one of West Ham’s toughest fixtures of the season but they do have it in their armoury to cause an upset. Felipe Anderson is enjoying a fruitful spell in front of goal and Marko Arnautovic is more than capable of causing the City defence problems. Defensively, Issa Diop and Fabian Balbuena will have to be at their very best to stop the expected onslaught of City pressure. It would take a brave man to bet against City losing as they really are beginning to get into their stride this season. Even with a European game on Tuesday, don’t expect City to take their foot off the gas and a victory against the Hammers will prepare them nicely for the visit to Lyon. With that in mind, in Champions League betting, you can back City to lift the Champions League at 4.7 with Betfair and they’re 2.52 just to reach the final itself. For Saturday’s game however, it’s hard to look past a City win but it should be an entertaining affair with West Ham looking to cause an upset. Actually, to say that the Financial Fair Play Regulations are complex is the understatement of the century. You may require degrees in Economics, statistics and business just to even get a grasp of what is actually allowed or denied under the regulations! Even the purpose of the Financial Fair Play are disputed. One understanding is that the Financial Fair Play rules are there to stop clubs outspending income and going into trouble and then being forced to disappear. Far too many clubs in recent years have been forced to start again after going out of business and the many feel the basis of the Financial Fair Play rules should be to target these clubs, stop this happening and making sure clubs are only spending within their means, wherever this spend comes from! However, another line of thought is that the Financial Fair Play rules are there to stop wealthy owners ploughing endless cash into clubs and giving them an unfair advantage in leagues and cup competitions. 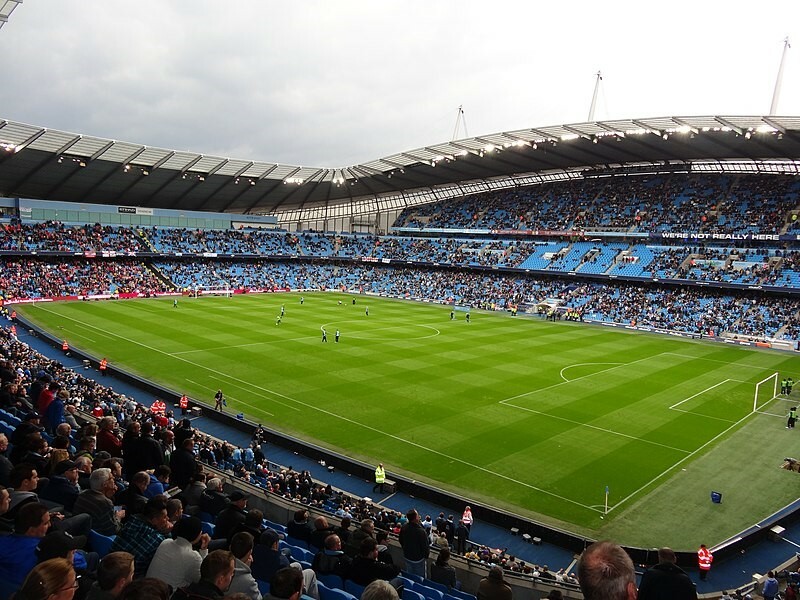 One argument would be that this is to stop the likes of Manchester City rising to dominance based on having a wealthy owner, but the counter argument would suggest that as long as the money is available to the club and they aren’t crippling with debt, why should they be forced to play by Financial Fair Play? Manchester City fans have a very very different view of the aims and motives of Financial Fair Play and it was clear that when the latest Financial Fair Play/Manchester City story broke this week. Fans piled online, social media and radio phone ins to express their view that all Financial Fair Play is set out to do is to make sure that no “new” clubs break into the elite and that the interest of the established giants of Europe, assumingly those likely to be part of the all new European Super League when it emerges. Is this fair to say? Manchester City fans may feel aggrieved indeed if the club are punished again under Financial Fair Play and there is a suggestion that perhaps they just are less wise to how to play the system than the other teams. Looking at the likes of PSG and their spends, as well as the likes of Juventus, Real Madrid and Barcelona, its hard to fathom how they would not fall foul of Financial Fair Play yet City would. Either way, there is no prove, no concrete judgements and with all sorts of issues arising including image right payments, pre-contracts and alike…..it could get very messy before Financial Fair Play and Manchester City are settled. It would appear that ultimately something has to give. Incidentally have you ever wondered what the difference was between a Private Bookie and a Traditional Bookmaker? I suggest you look for yourselves to see the difference. Manchester City – Is this the start of a dynasty? Finally, after months of it being inevitable, Manchester City were eventually crowned the 2018 Premier League champions when Manchester United failed to beat bottom side West Brom. Indeed, the title race has been considered over for so long, that the papers for the past few months have been filled with articles looking at the current Manchester City side, whether it can be considered to greatest team of all and what the future folds. The question we should be asking needs to look more toward the future….is this the start of a dynasty? What are the odds of Pep emulating Sir Alex Ferguson? Have a look at Big Free Bet Predictions to see what they think! Manchester City have dominated this season in the Premier League but fell short in the Champions League. Ever since that first Premier League title since the influx of the billions of pounds, they have always been on the verge of taking that next time from title winners to greatness. In that time period they have lost league titles to Leicester, failed to ever really be taken seriously as Champions League contenders and not been able to translate the league form into the dynasty building dominance that will lead them to a dynasty building future. The fact remains, and what history tells us is clear….you cannot build a dynasty based on one season and usually a dynasty is built up over a course of multiple season, with an ever evolving squad. What City need to do therefore is take this bunch of players, hold onto the core and build around them. There is no reason why the leading stars of the team should move to another club, but the lure of the major Spanish clubs will always pose a threat to any logic. Keeping a team together and retaining players is key! In addition, the management structure has to remain. The most successful teams in the Premier League, and the only real team you can class as a dynasty was Alex Fergusons Manchester United which was built around the manager. Manchester City, to repeat that feat, need to stick by their head man, even if next season doesn’t produce a Champions League trophy or indeed retains the Premier League…but is Pep a man to stick around to build a dynasty? History would suggest not. It is not a stretch to say that next season is crucial for Manchester City in terms of what the future lies. Are they destined to be the big money team who only gets it right once every few years and spends the rest of the time trailing? If was refreshing to see that the immediate reaction of Vincent Kompany upon winning the league title was a call to retain it next year. After all, it takes a good team to win the title and a great team to retain it. 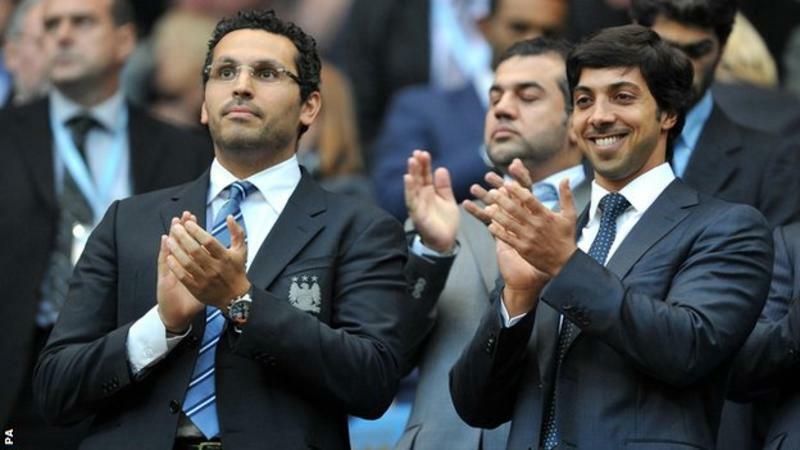 Manchester City have everything they could possibly need to build a dynasty….great players, a winning mentality, a growing fan base and the manager any club would want at the helm. It will be a fascinating journey to see where this team can go and whether we are at the start of a new era or merely another false dawn. Who will finish in the top 4? If someone would have told me at the start of the season when writing this article that one team would be running away with the title, I wouldn’t have believed it. But here we are with 2018 beginning and every football fan with any common sense must sense that the league title race is over. Manchester City are not only picking up the points, but doing so in a style that suggest they will never be stopped. I hear fans from time to time hark back to the days when Newcastle, in the 1995-1996 season, where 12 points clear at this stage only to lose out to Man United……we are talking about different teams. Keegan’s Toon Army were a attacking machine but lacked the quality Manchester do. Newcastle got results by outscoring, not necessarily outplaying, teams whereas Manchester City are dominating every game from the first to the last moment. It would take a brave betting man to think they will blow it from here! Man City Destined For Glory – Bet On It! We are only a month into the 2016-17 Premier League season and have already seen some fantastic matches. The league table is starting to take shape and it looks like Manchester City is the team to beat. Can anyone stop Manchester City from winning their third Premier League title in six season? Let’s take a look at the frontrunners for the Premier League title, while dissecting the performances of a few teams we believe, based on the opening handful of matches, will be entrenched in the unenviable relegation battle. Have you watched any of Manchester City’s games this season? They are a phenomenal team, right? While it is true that City have had an easier start to their campaign, take nothing away from their five wins from five games, in which they’ve scored 15 goals while only conceding four. Man City’s 66-point haul from the 2015-16 campaign was their lowest since the 2008-09 season, which ultimately cost Manuel Pellegrini his job as manager. Pep Guardiola was appointed as City’s manager and the Spaniard has visibly reignited the passion that was missing from City last season. Sergio Aguero looks like he’s in the form of his life, while Guardiola heaps praise on Kevin De Bruyne, claiming only the great Lionel Messi is currently better than his young Belgian star. We can see why he’s touted so highly. City are odds-on favourites to win the league this season, and we think it goes without saying that whoever finishes above them will be crowned 2016-17 Premier League champions. That’s doesn’t look like happening, though. Liverpool has won English football’s top-flight title 18 times in its history, but you’ll need to peer all the way back to the 1989-90 season to find when that last occurred, which is far too long for a club the size and stature of Liverpool. Jurgen Klopp has injected the team with confidence, belief and a childlike sense of exuberance and, at times at least, look like they could be genuine title contenders. Liverpool were awesome going forward when they beat Arsenal 4-3 on the road and scintillating in the 4-1 demolishing of defending champions Leicester in front of 53,075 fans — Liverpool’s highest attendance since 1977. Oh, and let’s not forget about Liverpool’s last performance, a 2-1 away win at Stamford Bridge. Liverpool, with a few more additions including a direly needed left back, will be set to challenge for the title. Unfortunately, they’re not quite there yet. Not playing in Europe is going to help keep Klopp’s squad fit, but we can’t see them, or anyone for that matter, pipping City at the top. It’s an exciting time for Liverpool fans, though. Look out for Liverpool in the F.A. Cup. What a difference a week makes. Manchester United were, with odds of around +500, second favourites for the Premier League title last week. But after being outclassed at home to Manchester City and losing to Feyenoord in the Europa League, followed by a dismal 3-1 away defeat at the hands of Watford, United’s odds have drifted to +1200. Self-proclaimed “Special One” Jose Mourinho has now lost a staggering 14 of his last 32 games; it previously took 105 games for Mourinho to lose as many games, a quite telling statistic. The odds of a United title have drifted so wildly in the last week, but we have to remember that only a month of the season has transpired so the +1200 odds still represents decent value. Mourinho, though, has to fix whatever is wrong at Old Trafford very quickly. With so much talent in the Man United squad, and the board’s willingness to support Mourinho in the transfer market, we think this latest blip in form is exactly that, a blip. Manchester United will qualify for the Champions League this season but fall short of their title aspirations. At the other end of the table, the bookmakers have Burnley as hot favourites (-137 or 8/11) to be relegated back to The Championship. Burnley has absolutely no attacking threat, which is cause for grave concern. Sunderland already look doomed. They can’t rely on Jermain Defoe to score all their goals and don’t have a strong enough defense to keep enough clean sheets. David Moyes has an extremely difficult task on his hands to keep the Black Cats in the top flight. Finally, keep an eye on Stoke City, currently +200 (3/1) to be relegated after their dreadful start to the campaign. Mark Hughes guided Stoke to a respectable ninth place last season, but they only have one point this season and have already conceded a staggering 14 goals. They should have enough talent to stay up, but if the slump continues and Hughes loses his job, Stoke could find themselves in a real relegation scrap. As per last year I am going to put my neck out and tell you who I believ will be the winners and the losers of the 2015/16 Premier League Season in the race for the top 4. Given the ease with which Chelsea secured the title last year many may feel this a surprise prediction. But Chelsea had an almost perfect season last year out with top class additions in the form of Fabregas and Costa hitting the ground running and improving the level of an already very good team. I don’t believe the same is likely to happen again this year and with question marks remaining over Costa’s fitness I feel Chelsea will find this seasons EPL Quiz campaign much harder. City on the other hand in my opinion can only improve on last year’s performance. The addition of Sterling will have many critics but he is after all one of the best young players in Europe, this will the likely arrival of De Bruyne will improve City offensively. If Auergo stays fit and Silva continues to weave his magic I think the title will be heading to the Blue Camp. Despite tmy reservations above Chelsea are still a very good side with a great deal of strength in depth. I see them finishing second and possibly getting into the semis of the Champions League – something that will distract them from their League campaign. Jose is too good a manager to bet against. On paper the Gunners (bar one exception up front) have a potentially title winning team. They proved in the Charity Shield this year and last that they can beat the league winners on their day. However doubts remain for me. Giroud is good but not in the same mould/level as Aguero or Costa. The midfield is still missing that ‘bite’ that Toure or Matic bring City and Chelsea respectively. Two excellent spells broken up with a dreadful run will see them third. 1. If Rodgers still has a job after 10 games given how unkind the fixture list has been to Liverpool with regards to away games early on. 2. How Liverpool fare against United in the North West Derbies. United have also strengthened but as things stand they only have one recognised striker in Rooney. An injury to him and what then? United were worthy of their fourth place last year but they also had no European football to contend with. I see this as a rocky challenging season for the Red Devils. The Premier League odds don’t agree with my views but whose would have foresaw Liverpool nearly winning the league in 2013/14? Odds eh? The massive influx in TV money from the Sky deal will see all EPL teams improve in quality making the race for the Top 4 even harder than ever before. A couple of years ago who would have thought that Stoke City would be able to sign former Bayern starlet Shaqiri? The EPL is the league to be in as it pays and as a result it will mean that those challenging for the top 4 not being able to take any team for granted. Manchester City’s plans for a title charge in 2013-14 are taking shape, with a £30 million deal to land Fernandinho the club’s first piece of business in what looks set to be a busy couple of weeks. The Brazil international signed on a five-year contract on Thursday after impressing City officials in the Champions League for Shakhtar Donetsk. Sevilla winger Jesus Navas is expected to join Fernandinho at the Etihad Stadium, while Manuel Pellegrini will reportedly replace Roberto Mancini as manager next week as the club look to justify their status as second favourites with Paddy Power to win the league next year. Fernandinho, who has represented his country five times, admitted he has been “waiting a long time” for the chance to play in the Premier League. He has described his move to City as a “dream”. “My ambition here is to win all the titles, the team here is strong, and so is the greatness of the club and the supporters. Professionally this is a spectacular thing,” the 28-year-old told the club’s official website. City fans will be hoping Fernandinho’s signing is followed by more big-money arrivals as the club aim to wrestle the Premier League crown from Manchester United’s grasp (United are currently 21/10 favourites in the Premier League betting odds), a title they won for the first time in 44 years the previous season. Supporters will start to believe the club can challenge the best in Europe next term if Spain international Navas completes his move. He is a medical away from making the switch to England. Pellegrini will inherit a strong squad when he takes the reins and will have his own recruitment plans. With the backing of the club’s wealthy owners, he will be confident of turning City into the most feared side in the Premier League. The Interactive Balotelli Quiz: True or False? Premier League top six: Manchester City, Manchester United, Arsenal, Chelsea, Liverpool, Tottenham. Leading Prem scorer: Sergio Aguero – Manchester City. Biggest Prem flop: Giroud- Arsenal. 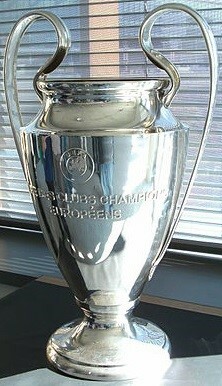 Champions League winners: Real Madrid. Championship top six: Bolton, Cardiff, Middlesbrough, Blackburn, Nottingham Forest, Birmingham . Manchester City left it late, very late, but they finally clinched the Premier League title in dramatic fashion away from their neighbours, Manchester United. Arsenal finished in third place, an improvement on last season. Fourth-placed Spurs, who would normally have been awarded with Champions League football, will have to wait and see if Chelsea (who finished sixth) win in the Champions League final – only four English clubs are allowed in to the competition. Fifth-placed Newcastle United will play in the Europa League next season along with Carling Cup winners Liverpool. Relegated from the Premier League, and playing Championship football next year were: Wolves, whose relegation was confirmed back on 22nd April, Blackburn Rovers, who joined them on 7th May, and Bolton, whose point on the final day of the season meant QPR maintained their Premier League status. In the Championship, Reading were crowned champions – making it back to the Premier League at the fourth attempt – whilst Southampton finished as runners-up – their second successive promotion. West Ham and Blackpool will contest the play-off final in search of the third promotion place. Relegated to the Football League were: Doncaster Rovers, Portsmouth and Coventry City. … Fleetwood Town join Footie Quiz!